Technological innovation is an important part of supporting the health and wellbeing of communities. The Rudd Government has recognised the positive impact that new and emerging digital technology can have in creating better health outcomes by its commitment to eHealth in the planned reform of Australia's health and hospital system, the introduction of the Individual Electronic Patient Health Record (IEHR), and the contribution of significant funding to the National eHealth Transition Authority. eHealth, it seems, is the way of the future. The IEHR is a secure, electronic record of a person's medical history, stored and shared in a network of connected systems, which individuals and health professionals can easily view through a computer and online. This suggests a more coordinated and efficient communication of patient information that can help to improve the quality of care and reduce health expenditure in the long term. The problem is that the rollout of the IEHR and other eHealth projects face challenges due to the differences between and among communities across Australia in relation to their quality and frequency of access to technology, and the ways in which health and wellbeing are understood and communicated. 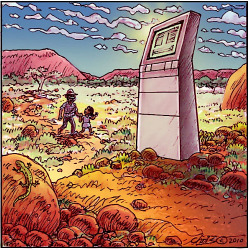 Communities from diverse cultural and linguistic backgrounds in rural areas, such as the Vietnamese, Tongans and Sudanese in country Victoria, and Indigenous Australians in the Northern Territory, face significant challenges not only in the provision of effective health and wellbeing information and support, but also the kinds of technology available for their everyday use. Research performed by the Australian Communications Consumer Action Network found that people who live in rural and remote regions, including Indigenous communities, do not have the same access to technology services as people in metropolitan areas. They are less likely to have broadband access. 3G network coverage can be unreliable, and even basic telephone usage in some places is limited. Engagement with technology is further complicated by cultural background, age, educational level, language proficiency and familiarity with technology. This has particular implications for refugee and migrant groups. VICNET and The State Library of Victoria worked with members of the Dinka, Harari and S'gaw Karen communities in the Wyndham area and discovered that simple training and access to the internet is not enough to ensure digital inclusion for many new and emerging communities. Internet content in the appropriate language is scarce, and to create culturally appropriate content requires specific skills. These are important considerations for eHealth initiatives that require health service providers and community members to have high quality broadband, up-to-date computers, familiarity with English based web platforms and the technical know-how in order to take advantage of online health information. The beauty of innovation is that it does not need to rely on high cost, exclusive and 'top down' approaches to using technology that supports health and wellbeing. We can instead draw on the technology that communities feel comfortable with, understand and can afford. In Zandspruit, one of the poorest rural areas of South Africa, Monash University has worked with the Emthonjeni Community Centre to set up a Digital Doorway project which is a freestanding, public access computer that can operate in standalone mode or as part of a two, three, or four-terminal kiosk. It is a kind of 'tough' technology that features a basic computer housed in a steel casing, has a vandal-resistant keyboard, a protective plastic screen and solar power option. Information can be uploaded locally or remotely, and can include in preferred languages a range of subjects, including health and wellbeing. 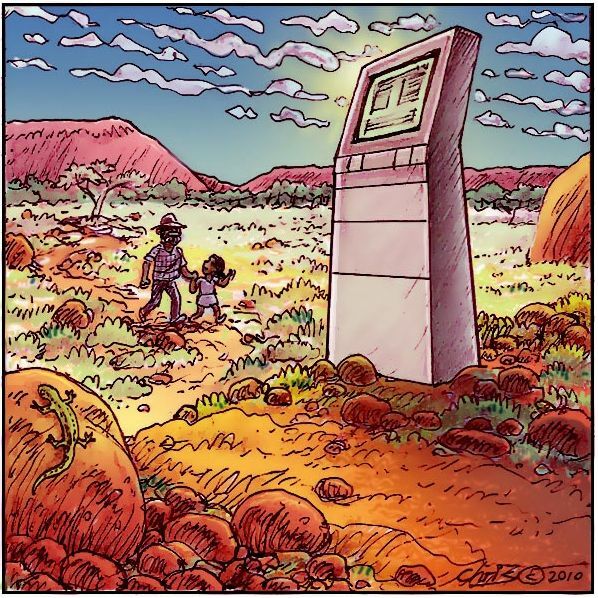 The Health Interactive Technology Network has worked with local people in many indigenous communities across Australia to create a network of easy-to-use touchscreen kiosks providing high quality, culturally sensitive health information. By building content in partnership with communities, including films and interactive media on subjects such as smoking, sexual health and vaccination, the kiosks engage with the communication preferences of communities, and help to address problems of literacy, affordability and familiarity with technology. There are a wide range of technology-enhanced health initiatives possible as part of the Federal Government's investment in eHealth. For the IEHR and other eHealth technological innovations to be most effective in supporting Australia's diverse population, they must address the real differences communities have in quality of access to technology, build on their capacity to use the digital technology they are familiar with and can afford, and involve them meaningfully in the design, production and dissemination of information about health and wellbeing. Dr Ben O'Mara is a Post Doctoral Research Fellow at the Institute for Community, Ethnicity and Policy Alternatives (Victoria University). His work explores the use and application of information communication technology in the promotion of culturally sensitive messages of health and community wellbeing. @ Monash we are actively engaged in supporting the Digital Doorway, including its possible use in remote communities in Australia. The same applies to older people who are wary of new technology. As an occasional traveller I am reluctant to use self service booking-in services at airports and self service paying services at supermarkets. With computers I only know the basics.